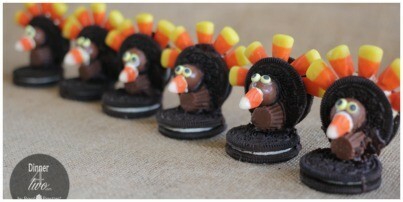 We have so much to be thankful for and we want to start November off with this fun Thanksgiving blessing mix treat. It seems each year Thanksgiving gets less and less of the lime light in November and is over shadowed by its big brother Christmas. We go from Halloween straight into Christmas; at least that’s what all the stores would have us do. We want you to slow down just a bit and reflect on what’s really important and all that you have to be thankful for. 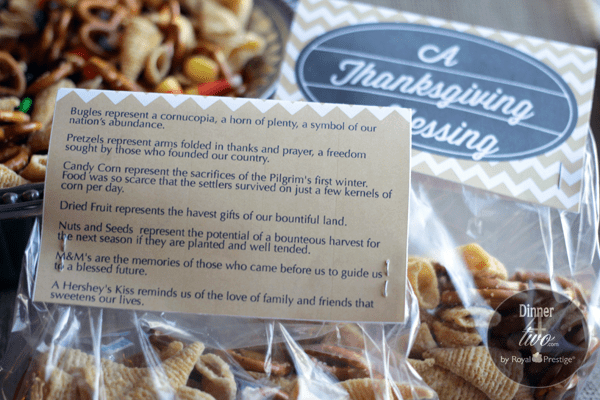 This Thanksgiving blessing mix has a sweet and thankful sentiments in each of it’s ingredients. 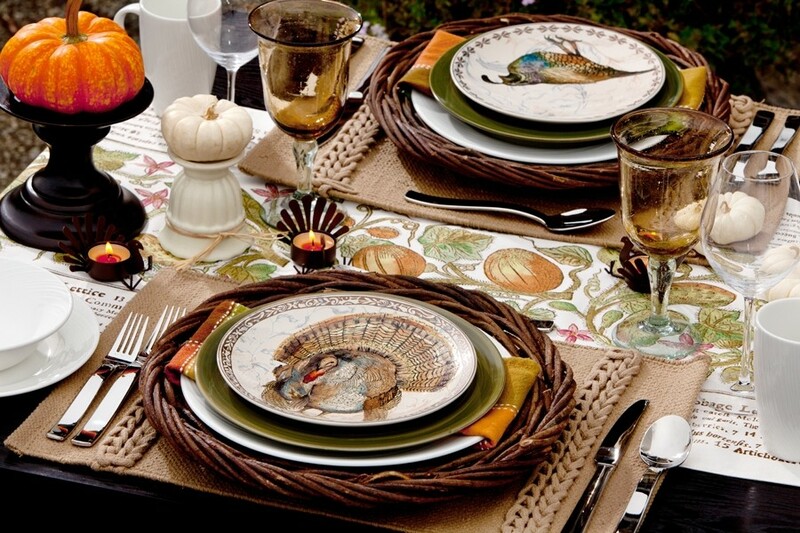 It reminds us of the simplyiciyt of this season and how to savor its bounty. 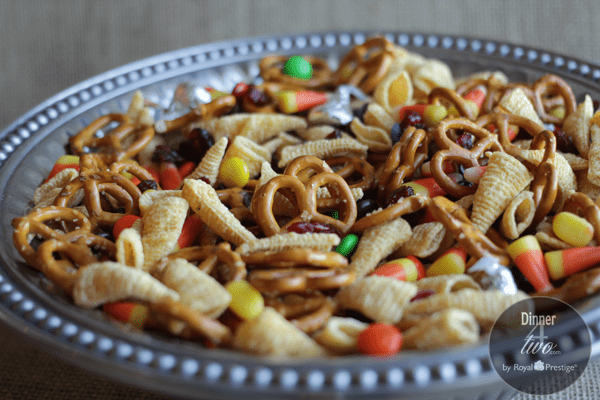 Set out this Thanksgiving blessing mix as a pre Thanksgiving snack to nosh on before dinner. Packaged up its a perfect little gift to drop by neighbors or friends just to let them know you are grateful for them during this season. You can pick up clear treat bags at any craft store or Walmart. Handmade in the Heartland was kind enough to put together this adorable printable top label for us to use for our blessing mix treat bags. You can download the label for free here. 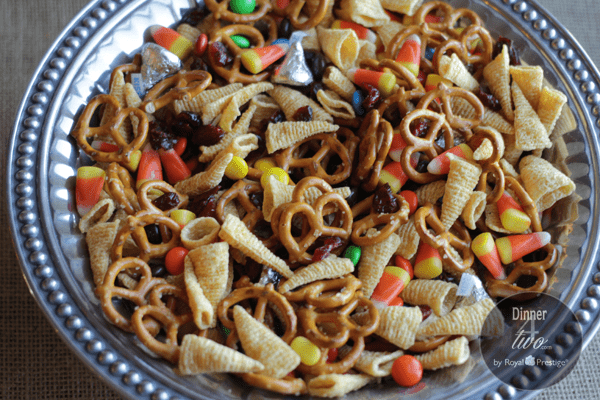 Bugles represent a cornucopia, a horn of plenty, a symbol of our nation’s abundance. Pretzels represent arms folded in thanks and prayer, a freedom sought by those who founded our country. Candy Corn represents the sacrifices of the pilgrims first winter, food was so scarce that the settlers survived on just a few kernels of corn per day. Dried fruit represents the harvest gifts of our bountiful land. Nuts and seeds represent the potential of a bounteous harvest for the next season if they are planted and well tended. M&M’s are the memories of those who have came before us to guide us to a blessed future. A Hershey’s kiss reminds us of the love of family and friends that sweetens our lives. Just a side not…you may find it hard to locate Bugles. We found ours at the gas station convenient store. In a large bowl, gently mix all ingredients, except the Hershey’s Kisses. 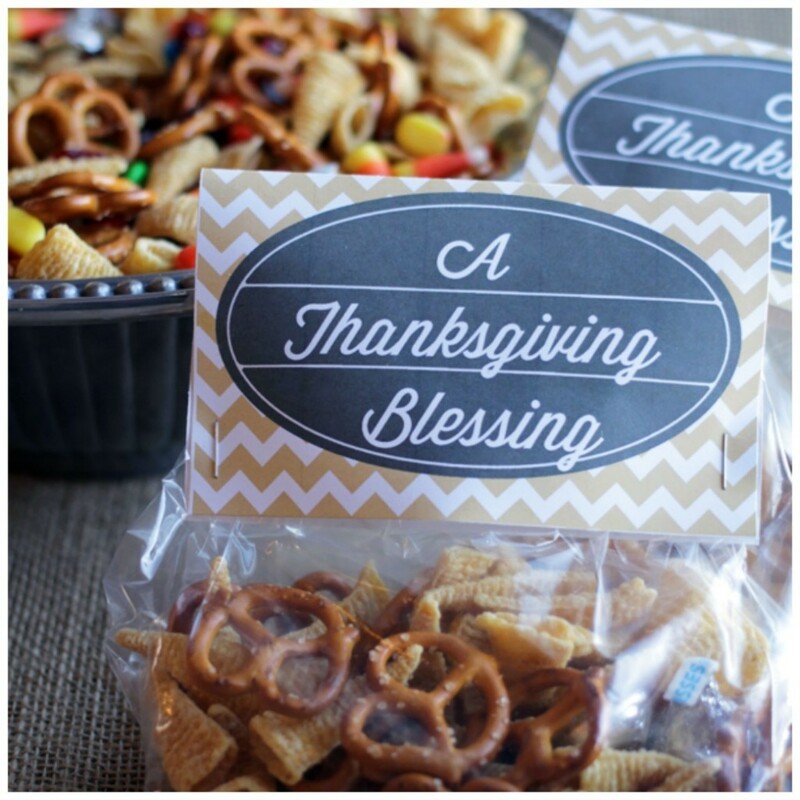 Place 1/3 to 1/2 cup Thanksgiving Blessing Mix in small cellophane treat bags. Add one Hershey’s Kiss to each bag. Fold over the top of the treat bag and staple closed. Attach label with a staple on each side or use double stick tape to attach your labels.